Minsk – Hostels in Minsk. Maps of Minsk, Photos and Reviews for each hostel in Minsk. Looking for a hostel in Minsk? Look no further, all the good deals in Minsk are on Dorms.com. Like thousands of other people every month, book your hostel securely at the best price in all neighbourhoods of Minsk. On this site, you can easily find a hostel downtown, in a trendy neighbourhood; a hostel in the student- university district, close to bus or train stations, airports or major attractions of Minsk. The modern hostel Riverside is located in the historic part of Minsk - Trinity Suburb. 7 minutes walk from "Nyamiha" metro station. The modern hostel Riverside is located in the historic part of Minsk, and is ideal for families, for those who prefer silence and quietness. The Great Theatre is a 5-minute walk away. 3 km from Minsk-Passazhirskiy Train Station and 6 km from Minsk-1 Airport. Nemiga Metro Station is a 5-minute walk away Lots of cafes, bars, markets, restaurants and shops all near by. 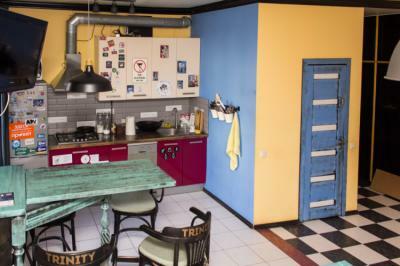 This modern hostel is located in the historic part of Minsk, very close to the popular Zybickaja Street with lots of bars and restaurants. 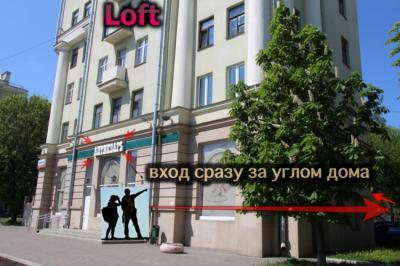 Located in Minsk city, this hostel is 50 m from the Svislach River. Minsk Tears Island is a 5-minute walk from the hostel. Nemiga Metro Station is metres away. Train Station is 15 minutes’ metro ride . Minsk Airport is 60 minutes’ drive away. A variety of cafés,supermarkets,restaurants and shops are 5-minute walk away. 2nd time staying there and they have already made improvements from last time. But there is still no coffee and a microwave on the other side(riverside) and the link to make payments are too annoying, they need a credit card machine. Apart from that, I'd really recommend it, staff and location are the best assets. Very good location, well organized and good facility that hostel have . People in the reception are informative and always ready to help. This place is a must for any traveller going to Minsk. The location is perfect, comfortable rooms, and the staff are amazing. Karina = great manager. 10/10! Fab stay at the hostel. Great location very close to the bar area. Clean and tidy, never a queue for the bathrooms. Helpful staff with good English. Bed comfy. I had requested a single female dorm and put in mixed so might be worth checking. Good social area and met some great people!